Happy Wembley Day! Four years ago today City beat Bristol City 1-0 under the Wembley arch to secure the third and final Championship promotion spot and end our 104 year wait to play in the top flight. They did so wearing shirts embellished with embroidery (the dictionary definition of embroidery is sewn on decoration, nowadays text tends to be heat transferred on, but the term embroidery is often used regardless of the application method) to mark the occasion. 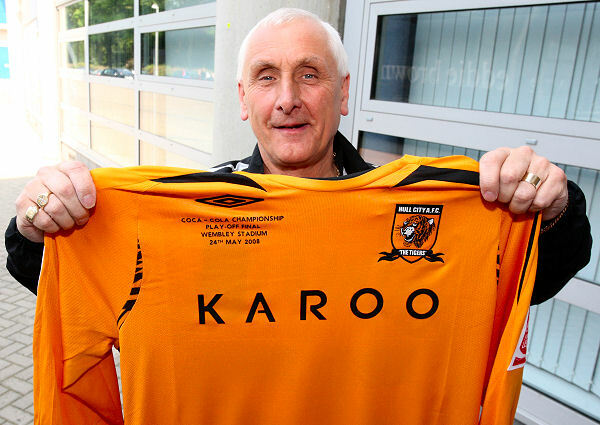 The photo above shows then kitman Barry Lowe with a shirt ready for transportation, along with the team, to London. 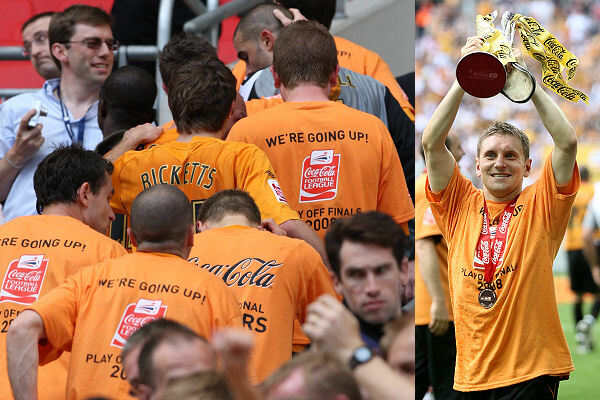 The text, applied underneath the Umbro double-diamond reads COCA-COLA CHAMPIONSHIP, PLAY OFF FINAL, WEMBLEY STADIUM, 24TH MAY 2008. 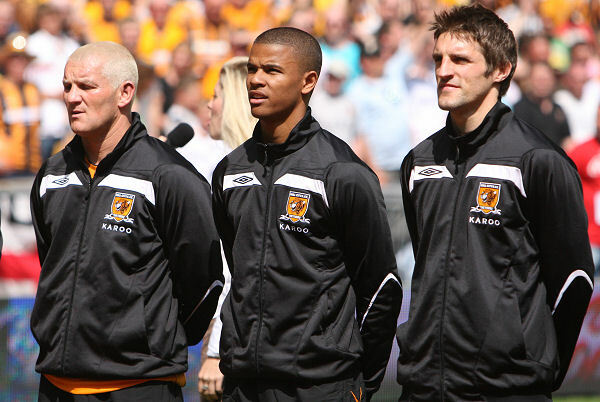 Andy Dawson wore his tee shirt back to front, whereas Sam Ricketts, Deano, Fraizer Campbell, Nick Barmby and Wayne Brown eschewed the league sponsor branded tees and stuck to just playing shirts.